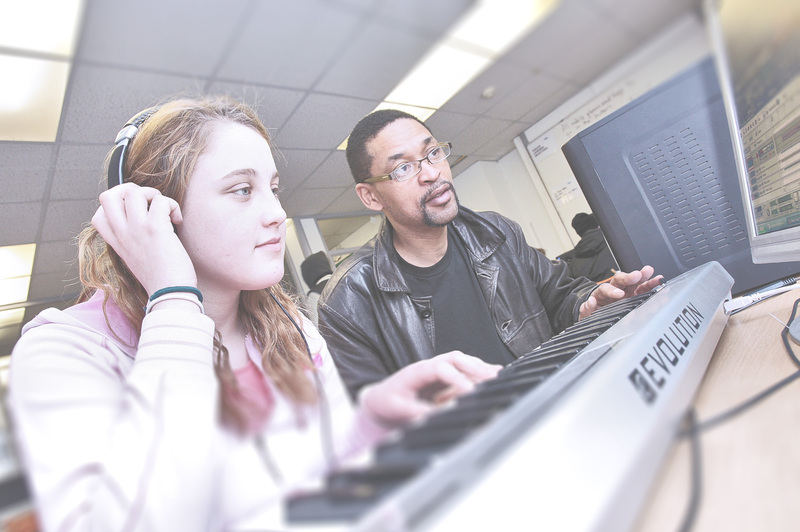 SV Academy is the only UK youth arts organisation to hold EdExcel Accreditation status, and our unique music technology and production courses combine real-life music industry skillswith key learning and basic skills to accredit participants with GCSE and BTEC awards. Our specialist teaching staff has an aptitude for motivating and engaging young people, and guiding them towards a positive outcome, a formal qualification and further education via our innovative GCSE and BTEC courses. - 11-year track record of delivering education, training, personal development and school reintegration services to young people in challenging circumstances. At SV students receive a well-rounded education taught in a dynamic and innovative atmosphere, this allows them to succeed academically and personally. Our specialist teachers ensure that students enjoy a range of stimulating activities that prepare students for life outside of school as well as fostering a culture of respect and tolerance within the school. Every student has an individual ‘learning journey,’ mapped from his or her induction to the school; this allows teachers to tailor the curriculum to the student. At SV we are extremely ambitious for our students, continually pushing for the highest possible achievement. Staff are experienced in youth training and hold enhanced CRB police checks. 2003 – StreetVibes co-founder receives the Nationwide Award for Community Endeavour. 2004 – StreetVibes named as one of six finalists for the Daily Mail / Lloyds TSB’s Enterprising Young Brits Award. StreetVibes was selected from thousands of applications nationwide for its outstanding achievements as a social enterprise. In the same year, StreetVibes was also nominated for the New Statesman’s Upstarts Award. 2005 – StreetVibes named as an Enterprise Insight Enterprise Ambassador, meets Rt. Hon Gordon Brown, Chancellor of the Exchequer, at the Treasury, number 11 Downing Street. Our Events Over 600 young people from across London attended Lyrical Xpressions, our last event held in south-east London at the end of 2004. Lyrical Xpressions, funded by the South East London Community Fund, brought together youth performers, fast-rising UK urban stars and industry spokespeople from Jet Star.Phonographics, Universal Records, Channel U, Def Jam UK, Radio 1Xtra and Sony-BMG. Jet Star generously sponsored the manufacture of the StreetVibes Youth ‘Black Out’ CD compilation, featuring youth music performed at the event, and the Metropolitan Police gave out StreetVibes Youth Achievement Awards to nine young people for outstanding progress on our music educational programmes. 2006 – Lyrical Xpressions II, funded by the Arts Council England, will take place this year! To express an interest in performing, promoting, organising, hosting or event managing Lyrical Xpressions II. Our Training Centre StreetVibes has a state-of-the-art multi-media training centre, DJ lab, internet radio station and professional studios based in Ladywell, London SE9. Our facilities and equipment is available for hire to youth, music and arts organisations, schools and community organisations and we can provide engineers, teaching staff and support for classes of up to thirty young people in music production, live instruments,DJing and MCing, radio broadcast, singing and songwriting, video production, performance, dance, drama and web-design.